What is a Native Plant? What is a Plant Community? Why are Native Plants and Plant Communities Important? What Threats Do Invasives Pose to Our Native Plant Communities? What Makes Bowman’s Hill Wildflower Preserve Unique? Enjoy some green in the dead of winter and warm up with a unique terrarium workshop in our propagation house. 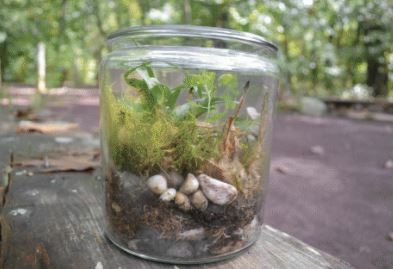 Participants will utilize native plants that overwinter in our nursery to create their very own terrarium. All materials are included. Advance registration is due by January 10. Online registration is now closed, please call 215.862.2924 for availability. Additional Information: Online registration for this event closes on January 11, 2019. Bowman's Hill Wildflower Preserve inspires the appreciation and use of native plants by serving as a sanctuary and an educational resource for conservation and stewardship. Make a difference, become a Member today.